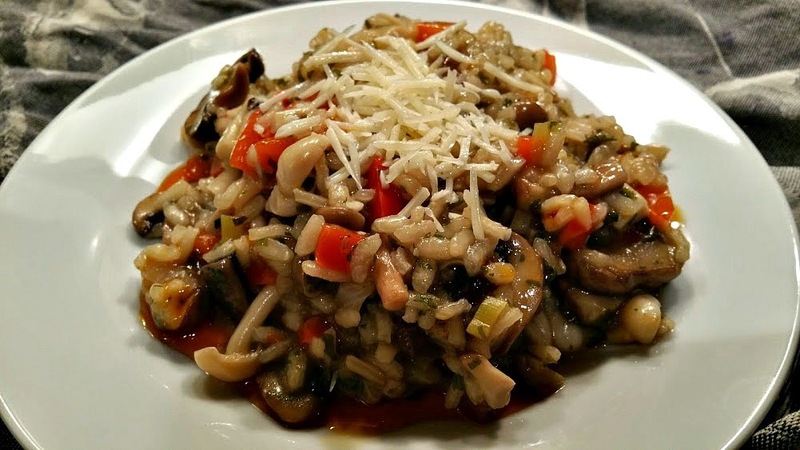 Risotto gets a bad rap for being difficult to prepare. Nothing could be further from the truth. The technique is actually very easy. I also find the process relaxing. I stand in the kitchen with a glass of wine and slowly...ever so slowly...add broth, a ladleful at a time, stirring occasionally until the liquid is absorbed and then add another ladle. I don't really have to concentrate so this dish is perfect when hosting a dinner party. We can all stand in the kitchen talking, laughing and taking turns stirring. The whole process should take between 20-30 minutes. 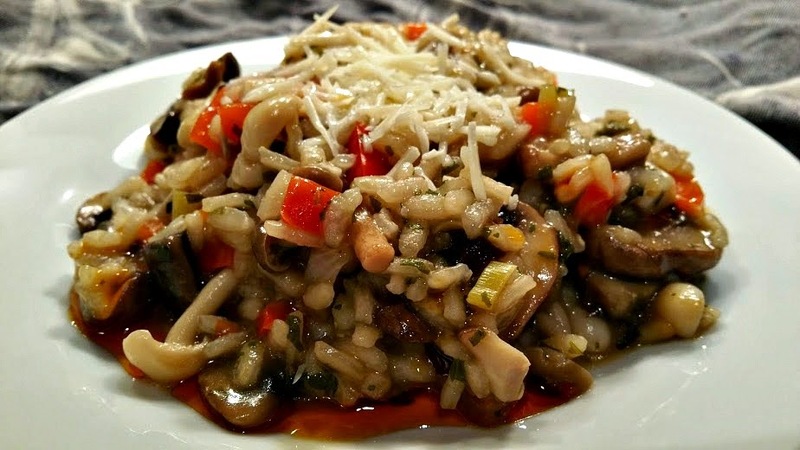 I also love the versatility of risotto. If you keep the proportion of liquid to rice consistent, you can add whatever meat, vegetable and/or cheese combination you like. Plain with just shallot and cheese is delicious, or you can get as fancy as you like. Spring pea and onion? Roasted eggplant, tomato and basil? Shrimp & lemon? What sounds good to you? Add handfuls of fresh herbs in season or use half olive oil and half butter. 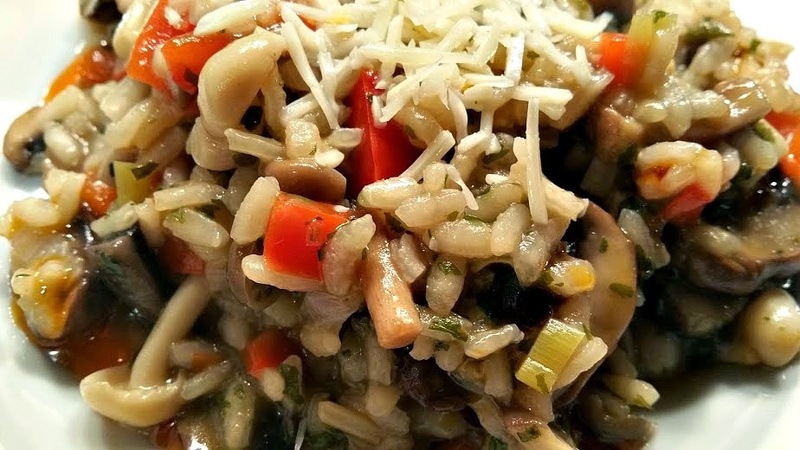 Get creative and, in the comments section below, please share your favorite way to prepare risotto. Warm olive oil in a large stockpot over medium-high heat. Add leek, red pepper, shallot and large pinch each salt & pepper. Saute until tender. Add garlic and cook another minute. 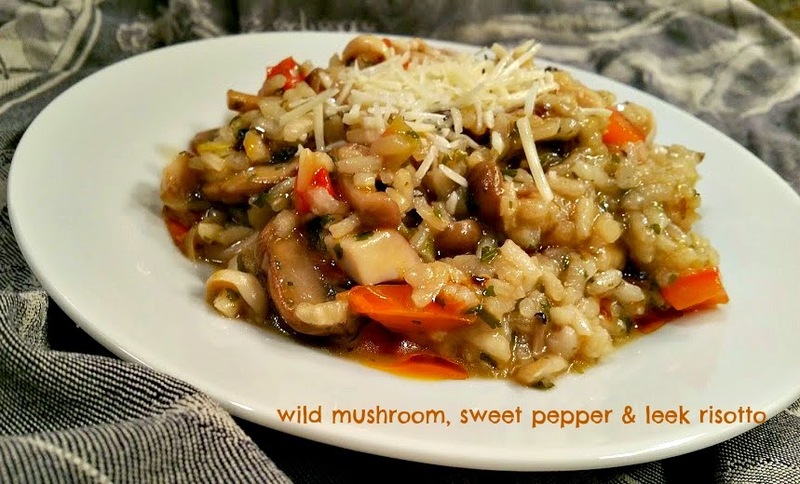 Add mushrooms and saute for 5 minutes. While vegetables are cooking, add broth and sherry to a medium saucepan. Simmer over medium heat until warm. Reduce heat to low. Add rice to vegetables and stir ensuring rice is coated in oil. Add 1 large ladleful of broth to rice and vegetable mixture and occasionally stir until broth is absorbed. Repeat process 1 ladleful at a time until rice is very creamy, tender but still al dente. Ensure you do not add each ladleful of broth until the prior one is absorbed. Taste a bit of rice to ensure it is cooked to your liking. Remove from heat and stir in vinegar. Taste and adjust seasonings if necessary. Serve sprinkled with the parmigiano-reggiano. Springtime means the start of sensational side dishes made from fresh, just-picked produce and this week at Food Network we are celebrating Grains. Do you have a favorite grain recipe? Share in the comments section and/or link to your blog if you have one. And be sure to check out the delicious sounding recipes from my blogger friends and Food Network. I am so glad you explained that making risotto is really simple - too many people are scared of it when they don't need to be. And I LOVE the idea of using this as the centerpiece for a dinner party, what fun!